Dealing with Outboard Spares means you're dealing with the brand directly. We don't rely on distributors or wholesalers to sell our products which allows us to pass those savings onto our customers. Simple as that! Whether you use your outboard recreationally or professionally having confidence in the parts you’re putting into your outboard goes without saying. 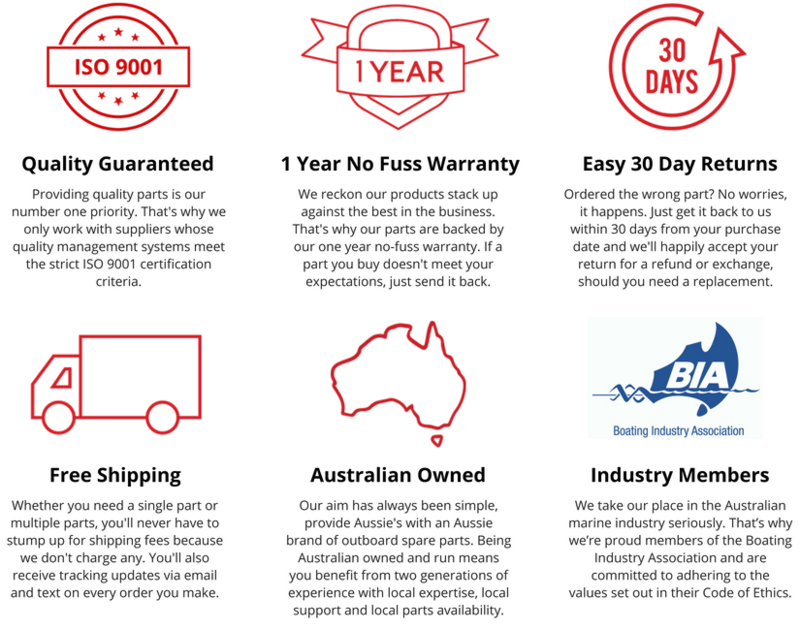 Having the trust of our commercial fishing, charter fishing or pearl farming customers means our parts are put to the test on a daily basis. And, they're holding up!